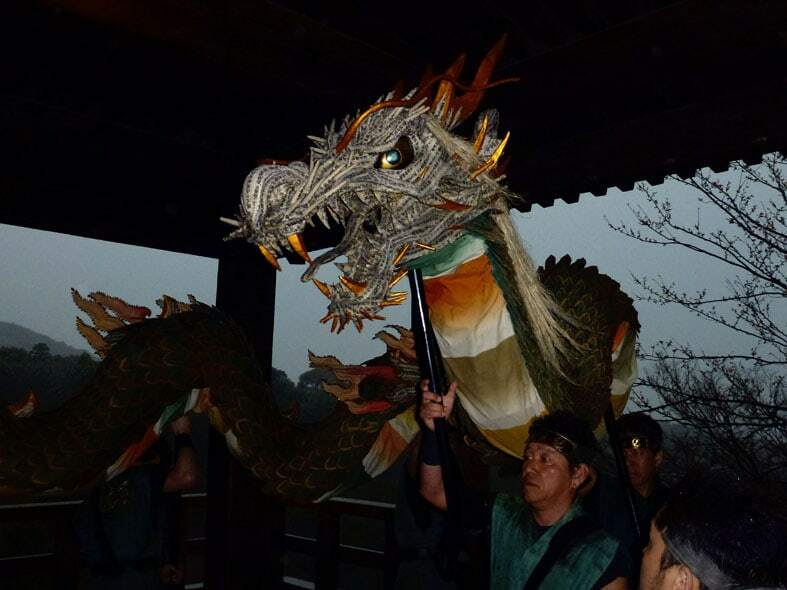 In Kyoto from March 15-17 the Blue Dragon festival will be celebrated at the Kiyomizu-dera temple. The day we went had very heavy rain and strong winds as you can tell from the photographs, it is dark at 2pm in the afternoon! 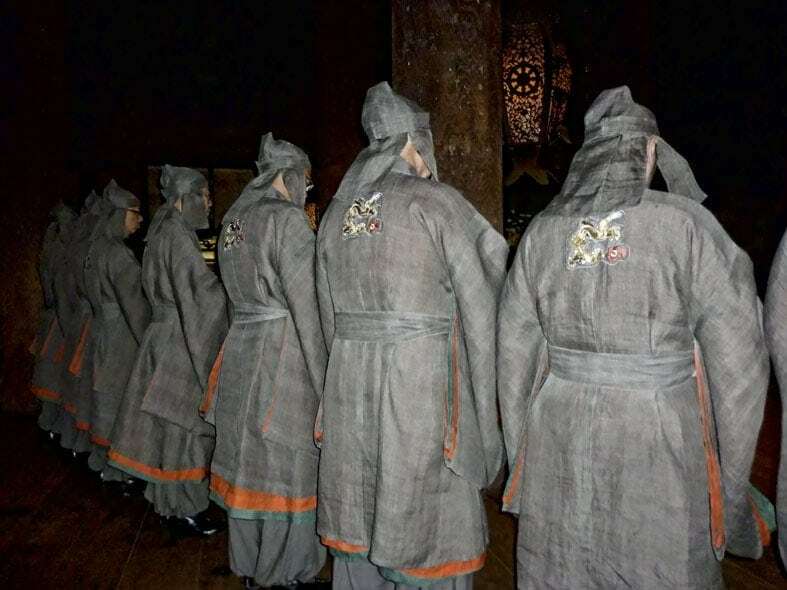 The procession through the templegrounds was cut short due to the high winds blowing the dragon and its attendants around but the ceremony and entertainment in the main temple went ahead as we all sheltered inside. This is a lesser known festival and there were few tourists present, perhaps also due to the weather but this made it feel more like a local celebration and everyone was friendly and happy as we squeezed together to watch the event out of the weather. Although we had umbrella’s with us they were quickly blown inside out and broken by the wind. As we walked back through Higashiyama later in the afternoon the rubbish bins were crammed with broken umbrellas, fortunately they are easy and cheap to buy in Japan. We might have looked a bit of a sight by the time we walked back into the hotel in the late afternoon but we’d had a fun and memorable day in Kyoto. 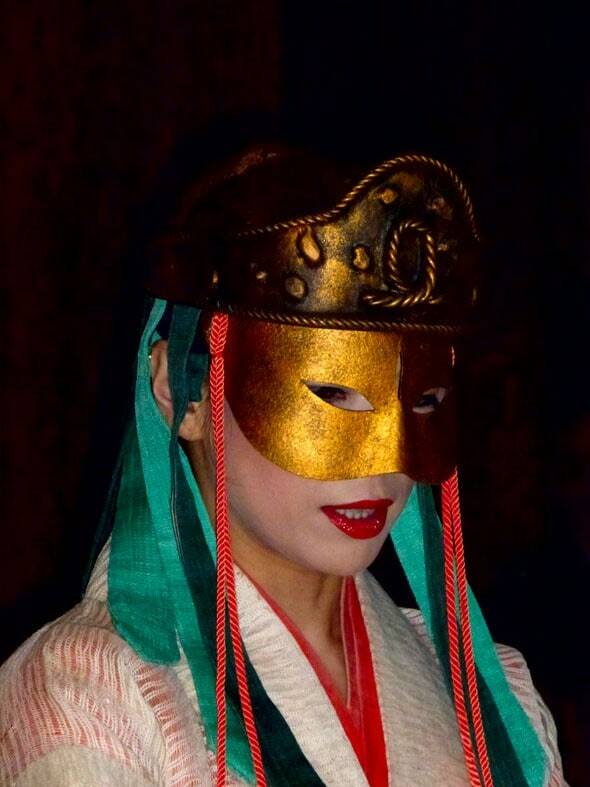 Seiryu-e is a festival held in Spring and Autumn at Kiyomizudera temple in the Higashiyama district of Kyoto. It’s the festival of the blue dragon that is said to drink from the waterfall at the temple. 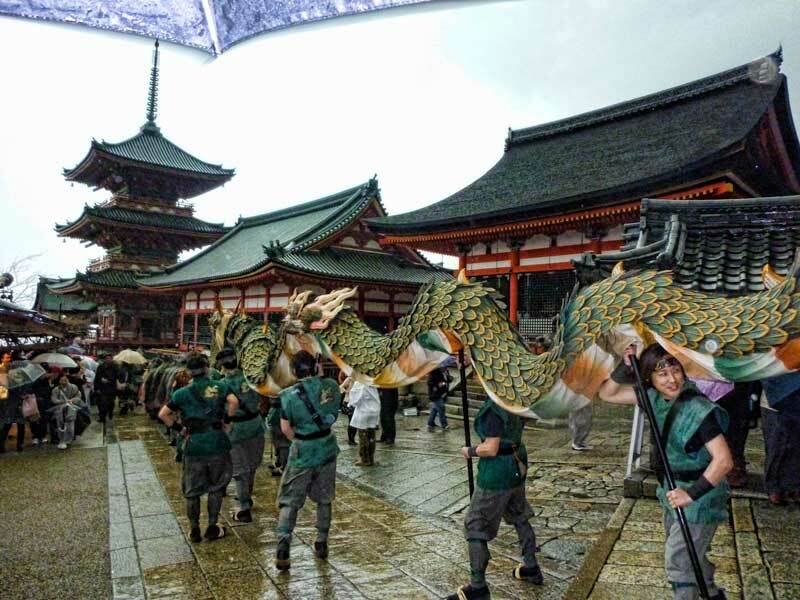 The festival is based on a legend that says that Kyoto is protected on all sides by 4 Gods from the beginning of time. One of these gods is Seiryu, a sacred dragon guarding the Higashiyama area to the east, where Kiyomizu-dera Temple is located. Seiryu is considered to be an incarnation of the Buddhist Bodhisattva, Kannon (Avalokiteshvra), an enlightened being of Mercy and Compassion who is worshiped in Kiyomizu-dera Temple. 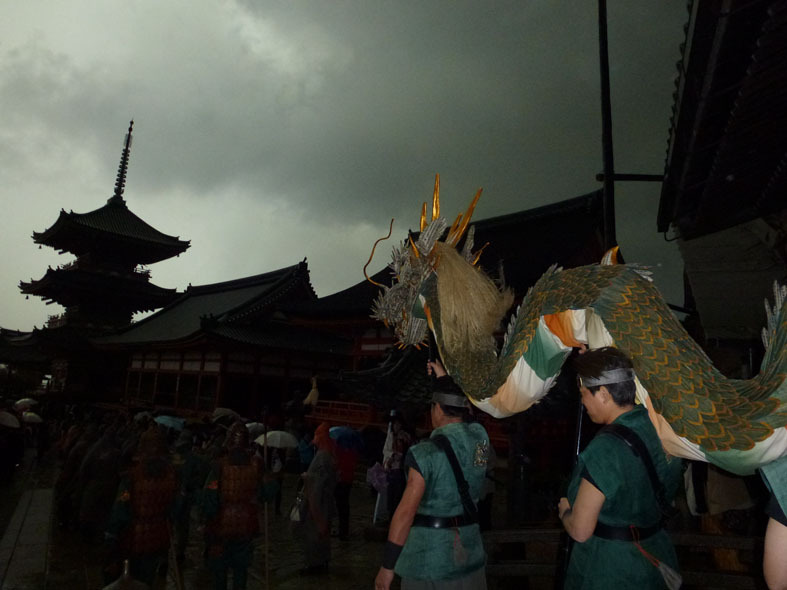 Seiryu is revered for watching over Kyoto day and night without rest to protect the people from misfortune. 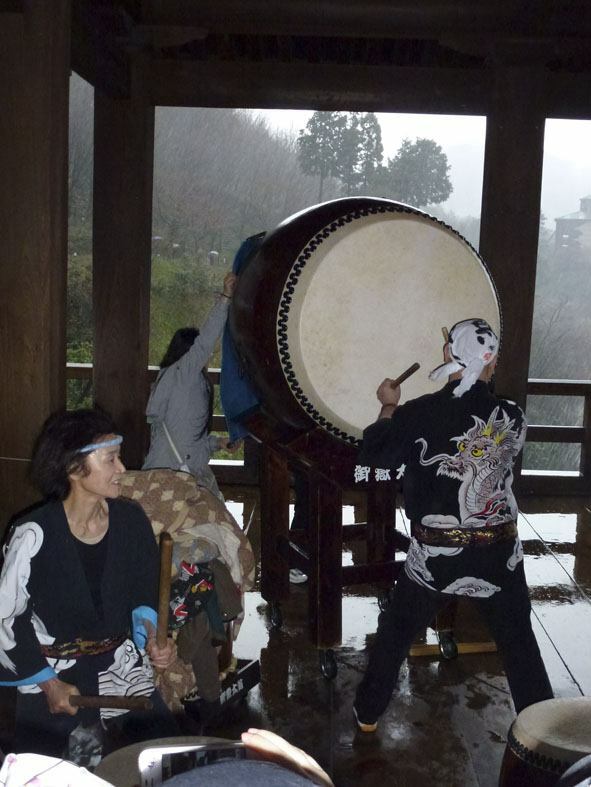 In deep appreciation of Seiryu, a Buddhist ritual called Kiyomizu-dera Seiryu-e began in the year 2000. 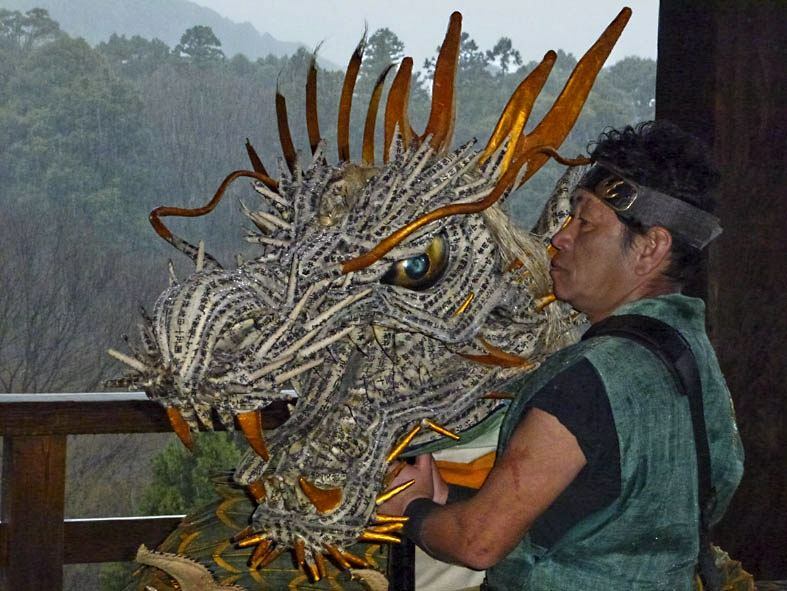 The image of the blue dragon was completely designed by a renowned local costume designer, Emi Wada, and was constructed with donations and cooperation from Kyoto-based traditional craftsmen. With the festival being held indoors we got closer to the costume than might normally be possible and it was beautiful, the attention to detail was very impressive. The festival involves a ceremony and a 1.5 hour procession that snakes its way around the temple and the small streets of the surrounding township area. 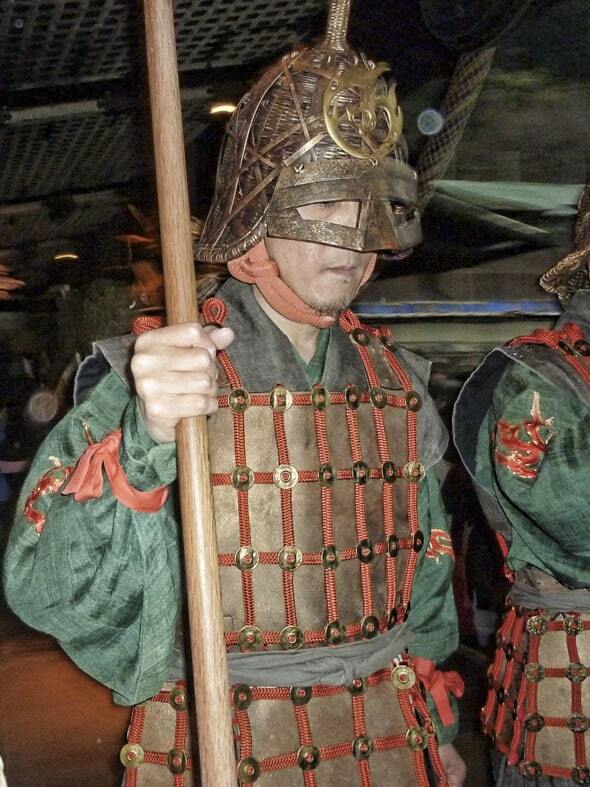 When is Seiryu-e held at Kiyomizudera? The festival is held in Spring and Autumn on 7 days each year. It can be attended on March 15, 16, 17, April 3, September 15, 16, and 17. It starts at 2pm in the main temple and runs through until 3.30pm. What is the entry fee for Seiryu-e at Kiyomizudera? The standard cost to enter the temple applies (Y300 last time we were there) but there was no additional fee for the festival itself. That makes it remarkable value and a very special addition to a visit to Kyoto. If you didn’t want to enter the temple itself you can view parts of the festival from the temples outer area, entrance gate and the town at no cost.